What are Individual Speech Pathology Treatments? The aim of the Speech Pathologist is to provide your child the tools to communicate. Benefits of speech pathology treatment may include improvements in clarity of speech, ability to express thoughts and feelings, improved problem solving, better social skills and increased independence. Our Speech Pathology team incorporates hands on treatment and therapeutic exercises with play & recreational activities to assist your child to learn language skills and improve control / coordination of oro-motor movement. Following assessment your therapist will discuss the results of the assessment with you and begin to develop treatment strategies for your childs needs with you. All treatment strategies will be individualised for your child using a number of evidence based treatments. Your childs programme will be monitored, measured and evaluated on an ongoing basis. 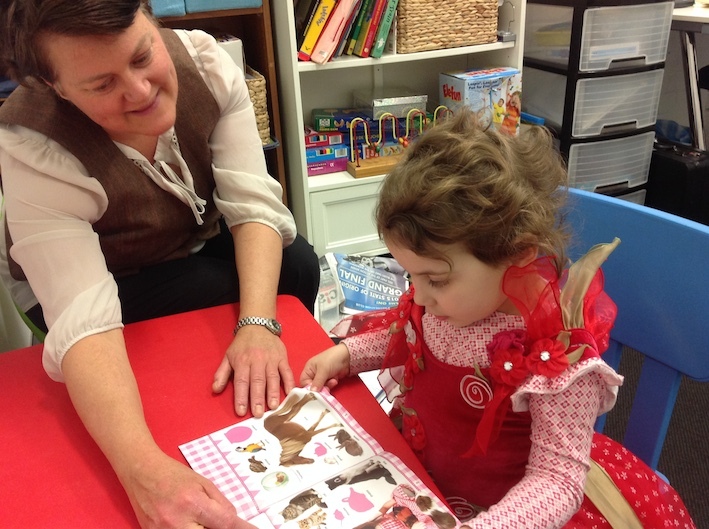 A home programme will be developed and, if necessary, a programme to be used at preschool/day care can be written. We believe in collaborating with all the people involved in your child’s life and we encourage the use of our communication book for this. Who: Children seen may vary from the typically developing child with language based learning difficulties, stuttering and difficulty with sound production to children with disabilities. When: During office hours 8.00am to 6.00pm.